Dublin, Ireland, and Stockholm, Sweden, 6th June, 2018 – Alpha Fintech, the fintech vendor management platform that simplifies the management of current vendors and exposes new payments, risk and commerce providers via a single interface, is proud to announce a new partnership with European payments company Trustly. Trustly provides fast, simple and secure online banking e-payments (OBeP) to and from from consumer bank accounts across Europe. This partnership will see Trustly’s payment solutions available to banks, MSPs and merchant users on the AlphaHub platform. The AlphaHub is a fintech vendor management platform that provides access to a library of fintech vendors through one dynamic API and user interface. Alpha Fintech aims to foster innovation by introducing standardised third-party vendor access. According to Datamonitor, 93% of European citizens use their bank accounts as their primary funding source. With new digital authentication methods, the bank account has grown in relevance across European markets for both domestic and international payments. And merchants and service providers are looking to accommodate their customers’ payment habits. Trustly is available in 29 countries and more than 3.5 million secure purchases are made using Trustly every month, allowing customers to pay with their online bank without leaving the online shop. When customers select Trustly in the checkout, they’ll either be taken directly to their preferred country, or asked to select it from a drop down menu. Once they have chosen their country, customers will be presented a list of local banks that Trustly offers real-time bank transfers for. Once the bank is selected, the customer will be asked to log into their online banking, choose any account they have from a simple menu and confirm their payment. “Alpha Fintech are excited to work with Trustly to expose account-to-account payments across Europe to our customers. As more customers turn to bank-based payment methods, through the AlphaHub merchants will be able to offer this key payment method in markets as diverse as Australia, Singapore and now 29 countries in Europe via a single integration providing a consistent user experience,” commented Rónán Gallagher – Chief Product Officer, Alpha Fintech. “Trustly wants to make account-to-account payments simple and secure for merchants and their customers. Partnering with Alpha Fintech supports this strategy thanks to Alpha Fintech’s one simple API, through which merchants can now access Trustly’s payment functionality. Alpha Fintech’s significant international reach will also enable Trustly to reach new merchants,” commented Adam D. Bowman, Director of Partner Sales, Trustly. Founded in 2008, Trustly Group AB is a Swedish FinTech company that makes online banking e-payments fast, simple and secure. The company offers cross-border payments to and from consumer bank accounts at over 3,000 banks in 29 European markets and connects businesses and consumers within e-commerce, travel, gaming and financial services. In 2017, the Financial Times ranked Trustly as one of the fastest growing companies in Europe on the FT1000 list and the London Stock Exchange recognized Trustly as one of Europe’s most inspiring, fast-growing companies. Trustly has 200 employees and is headquartered in Stockholm, Sweden, with regional offices in Spain, Malta, Germany and the UK. 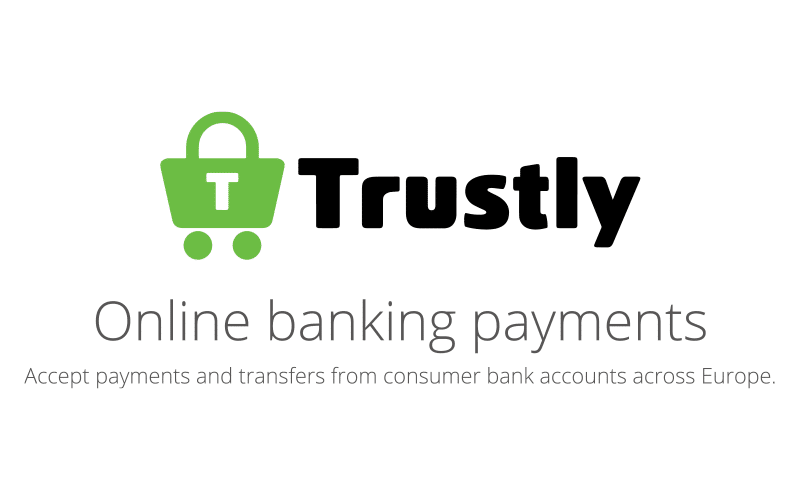 Trustly is a licensed Payment Institution under the supervision of the Swedish Financial Supervisory Authority. Read more at www.trustly.com.